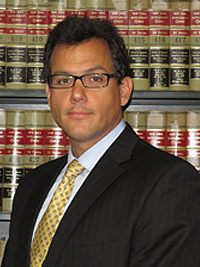 JAMES A. PANNONE joined MDAF in 2006 and became a partner in 2011. Prior to that, he spent the majority of his career defending medical malpractice actions and other complex matters at several established New York firms. In addition, he has served as General Counsel to a large New York City scaffold & hoist company. Mr. Pannone has successfully represented hospitals, doctors, nurses, and companies in all stages of the litigation process. He is an experienced trial attorney and has tried cases in all boroughs of New York City. Mr. Pannone is married with four children and enjoys skiing. Defendant's verdict in medical malpractice case against a maternal fetal medicine doctor. The plaintiff claims that the prenatal care as well as the labor and delivery were improperly managed, leading to a premature delivery and alleged wrongful death of triplets. The mother also argued that she suffered from post-traumatic stress disorder. Defendant's verdict in a medical malpractice case against a surgeon for allegedly improperly performing an excisional biopsy of the breast, causing severe scarring and a significant deformity. It was also alleged that the surgeon failed to obtain informed consent for the surgery. Defendant's verdict in a medical malpractice case against a urologist claiming improper and poor technique during prostate biopsy and a failure to provide requisite antibiotic treatment leading to severe sepsis and related complications. Defendant's verdict in a medical malpractice case against a radiologist where it was alleged that the physician was responsible for a displaced breast implant during a mammography.